Te Anau, situated on the banks of lake Te Anau, is a small sleepy town where we spent the two nights between our tramps. 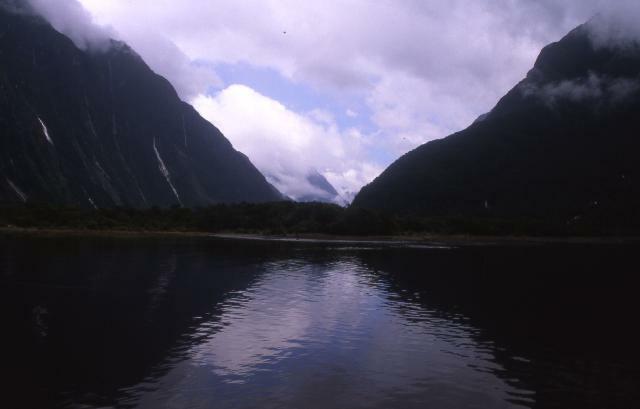 "Te Anau" means "cave of roaring water" and the cave that gives the place its name is located across the lake in an uninhabited island. The cave is a popular spot for seeing the famous New zealand glow-worms, creepy little creatures that uses bioluminescent light to attract insects. We spent the afternoon visiting the caves. Looking at the 100s of these creatures in a pitch dark cave was absolutely enchanting. You can't be blamed if you inadvertently start looking for the big dipper or the southern cross! Te Anau is also a good starting point to visit Doubtful Sound, one of the many sounds that dot the Fjordland National Park in the south west coast. The Doubtful Sound is named so because one Mr. Cook was "doubtful" about venturing into the place as he thought the wind in the harbour (in his perspective, the sound looked like a harbour) wasn't strong enough to blow his ships back into the sea. 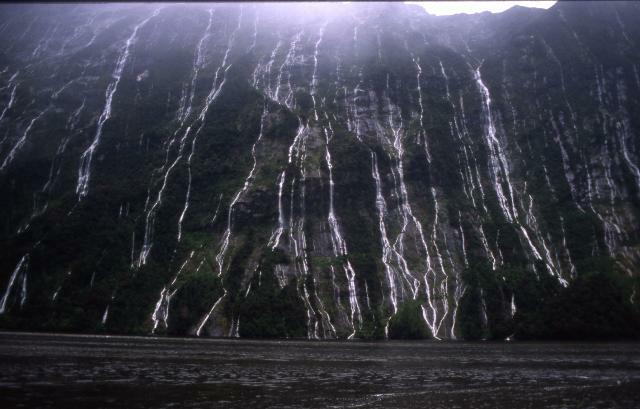 A "sound", by the by, is a river valley flooded by the sea while a "fjord" is a glacial valley flooded by the sea. Since all the valleys in these parts were glacial carved, all the "sounds" here are nothing but misnamed "fjords". 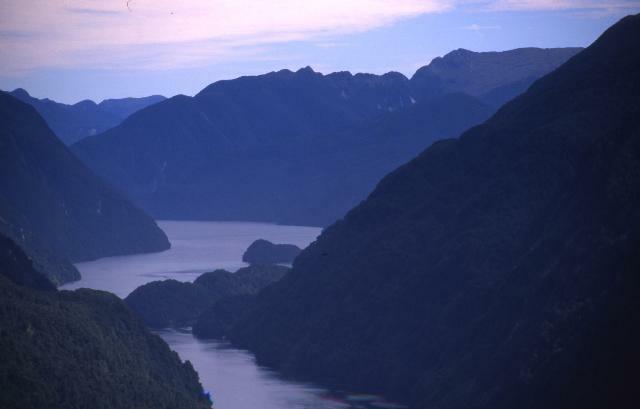 The only way to reach the Doubtful Sound is to drive upto lake Manapouri, traverse it by boat and take another bus across the remote Wilmot pass. How anyone managed to bring a bus to the remote strip of the land between the lake and the sound is anybody's guess. We were blessed with fine weather for the third day running when we visited the sound. 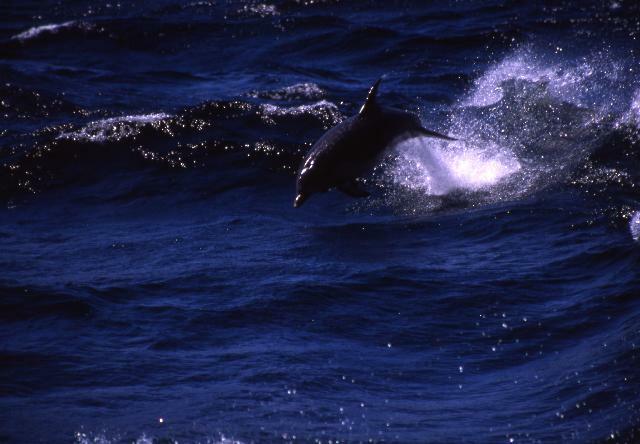 In fact, this day was so perfect that we were able to spot all the "big three" living in the sound - Bottle-Nose Dolphin (the second largest dolphin in the world), Dusky Dolphin (the second smallest dolphin in the world) and the New Zealand Fur Seals (which are infact misnamed sea lions!). The most staggering piece of information, however, is that the region does not have a spec of top soil, the glaciers having carved out all of it. All the thick rain forests are actually growing on moss covered rocks - makes me believe that if you have enough water you can have vegetation even in Pluto! 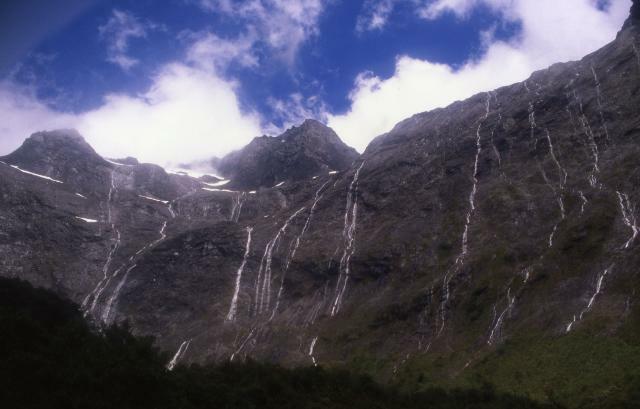 The following day we started the Milford track, billed as the "finest walk in the world" - i.e. as long as your definition of the world does not include the Patagonias, the Rockies, the Alps or the Himalayas. We, however, were not able to verify the veracity of the claim as we were paying dearly for enjoying 3 consecutive fine days. What followed was 5 days of incessant drizzle, rain and downpour completely drowning all the possible views on the track and on the cruise that we took on the day after the tramp. Most people claim that the walk is enjoyable even in rain as about a million waterfalls seem to spring from nowhere all around you compensating for the lack of views. Although it wasn't far from the truth, I still feel that if you are flying half way around the world to walk this track, you would rather see the views than the falls. Since the region receives over 8m of rainfall a year, you should actually be surprised if you don't have 4 damp days. Having said that, the mother of all falls, the Sutherland Falls, is seen to be believed. At 580m, it is the tallest fall in the southern hemisphere and its roar can be heard over a mile away. This fall is however reached by a 1.5 hr detour from the main trail and the decision to take it must be made after a tiring 5 hour day most of which was spent in a steep knee breaking descent. Not surprisingly, many people don't take the detour and miss a great opportunity to witness the power of nature. Notwithstanding the rain, I found the track particularly challenging as it involved walking 54 kms in little over 3 days and doing it back to back to 33 km long Routeburn track can be a bit back breaking. But still, we are more glad than unhappy that we did the two tracks. After our tramp, we spent an extra day cruising the sound. On a rainy day like the one we had, the only highlight of the cruise is the visit to the underwater observatory. Thanks to the lack of top soil and the calmness of the fjords, one can find deep-sea creatures in these parts only metres below the sea level. The observatory, located at 9m below sea level, gave us an opportunity to view this ecosystem from the comfort of a dry cabin. At the end of the cruise, we got an yet another opportunity to travel the beautiful Milford road as we slowly made our way back to Queenstown.